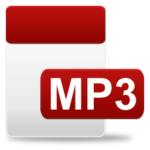 Q: What happens with downloadable items like PDF fand MP3s files? A: After a successful payment or processing, your items will become instantly available for downloading and you will receive a follow-up email. Log into your account using the Login menu. Under the My Account heading click on Orders. A window with a Download link / icon will appear. Click on it. The download link can be used up to five times over a one week period starting the date of your order/purchase. If you are prompted with a ‘Save as …’ prompt, save the file and remember where you put it. Q: What can I expect to happen if I use an AFT formula? A: In general, the problem you are tapping on will go away or become less of a problem. The greater change in the physical structure, which must be accomplished in order to rid oneself of the disorder, the longer the formula will take to work. Thus, improvements in eyesight take repeated applications across a period of time, depending on how bad the eyesight problem is. This is also true of diabetes in which sufferers demonstrate different levels of need for insulin. The “Wrinkles formula”, although requiring only one period of application, requires years to slowly have its full impact. Fortunately, the “flatulence” formula works immediately, as do many of the pain relief formulas. Follow the instructions provided with the specific formula you need, as it contains the best information currently available on the use of any specific formula. Using mp3 files or CDs greatly simplify the process of using AFT because you can make media player playlists. With the use of the AFT emitter the tone files involved can be played silently overnight or all day long. The emitters plug into the headphone jack of any mp3 player allowing full portability. Q: What are attractor fields and how do I stop making them? A: Attractor fields are nonphysical energy fields generated by each individual’s attitudes, beliefs and ongoing thought stream. You can never stop making them as long as you think but you can make good ones rather than bad ones. You can help by shifting your thought pattern away from negative thoughts. We do have free will. We must use it wisely. If you want the world to be a beautiful place, you must first make your Mind a beautiful place. Q: What do the AFT formulas do the body? A: Nothing directly. The formulas produce changes in the nonphysical energy flows through the “Meridians“, or energy pathways, which “construct” the physical self. In other words, the body is continuously “assembled” from physical materials, atoms, molecules, etc., according to the “blueprints” created by the specific Meridian energy flows, which are themselves influenced by the thoughts and beliefs that we consciously hold. The AFT formulas interrupt the self-perpetuating energy systems associated with the various physical and emotional conditions that we know and experience as illness. These specific energy-flow pattern-interruptions alter the energy system for the specific condition being treated, resulting in a reduction in symptoms, or the physical-thought manifestations of the condition. The formlas can be thought of as a Morse Code for the acupuncture system. A means of realigning energetic processes to a healthy state. Q: Must I perform the formulae that I am doing daily within the 24 hour (plus or minus 1 hour) time frame? A: It is a good idea, with tapping AFT works best that way. Unless you are using an mp3 file or CD the formulae for Physical Ailments should be tapped on the 24 hour (plus or minus 1 hour) schedule, whether they are performed daily or weekly. Simply, follow the instructions. If tapping is a problem you might consider using an mp3 file or CD for your problem. If you have problems with timing, play the mp3 file with an emitter 24 hours a day. Q: Should I stop taking my prescription medications when using these formulae? A: No. The effects of energy fields on the physical body induce chemical as well as structural changes. As a result, the body can frequently make effective use any medications prescribed. Check with your physician if you have any questions about any changes in your medications. He can best gauge your medical needs. The AFT applications are an adjunct to standard medical care, and not a replacement. If you did not find the answer to your question after searching our site, please feel free to contact us. We will answer your question in a timely manner.